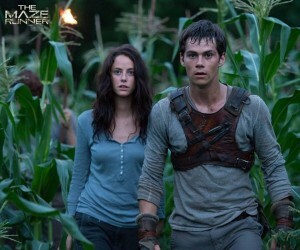 Following the well walked path of Young Adult (YA) book to film adaptations comes a new franchise, based on James Dashner‘s best-selling The Maze Runner. Based on a series of three books, expect this one to run the distance. What’s It About? Thomas (Dylan O’Brien) joins a group of boys who have all had their memories erased – he doesn’t know where he is, who’s put him there, or even his name. Seemingly fairly peaceful and organised before he arrives; it soon becomes clear they need to escape from the maze that surrounds their makeshift homestead. Verdict: Despite being lumped in with the YA trend, The Maze Runner feels fresh enough and different from the films to which it’s been compared. For a start, there’s a male protagonist. 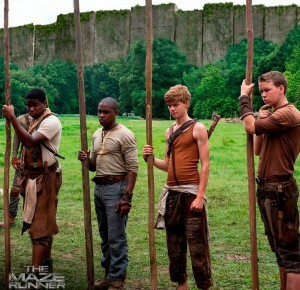 In fact, all bar one of the ‘Gladers’ is male. Whilst Hollywood as a whole definitely doesn’t have enough strong female characters, they have been very well represented in YA films in recent years, so it is nice to give the boys a go. This creates an interesting dynamic. Part Lord of the Flies and part The Lost Boys from Hook, they’ve created their homestead from scratch, crafted weapons, shelters, slang and rules (which Thomas proceeds to break). The film, as the book did, immediately places you in the box with Thomas, which is great at making the concept relatable. Though obviously far-fetched,the maze feels credible and intriguing, so we really want to find out what’s going on. We can imagine ourselves in Thomas’ position, and that’s credit to both Dashner and O’Brien, and director Wes Ball. The Gladers include the sensible Newt (Thomas Brodie-Sangster, who shines despite being stuck with giving us the majority of the exposition), the fiery Gally (Will Poulter), athletic Minho (Ki-Hong Lee), the loveable Chuck (Blake Cooper), and the one female, Teresa (Kaya Scodelario). They’re a fun bunch of characters, even if they tick the fairly stereotypical boxes – ‘the wise one’, ‘the tough one’ etc. A film with such a high concept (there’s a great big maze!) needs to have the visual effects to do itself justice. And it does. The maze is every bit as impressive as it was on the page, and what’s inside the maze is probably even more terrifying on screen. As an adaptation, it is good. It leaves out some aspects that were important to the plot in the book, though this is essential to keep the runtime down. Whether or not any omissions will lead to disjointed sequels, though, remains to be seen. It’s shot in a frantic style, with jumpy cuts and barely a moment to pause for breath, which means the pace is pretty unrelenting. Whilst this makes for a movie that does fly by, it does miss out on some of the quieter, conversational moments from the novel. It is these moments in the book that not only make it seem like more time is passing (which in turn makes their task seem all the more insurmountable), but build the relationships between the characters. In the film it feels like Thomas has only been there five minutes and they’re already plotting their escape. Despite losing some of these subtleties, the film compensates in part by fleshing out some of the characters such as Gally really well. The rest of the young cast fit their roles well; whilst they don’t all look exactly as the characters were described in the book, they all completely inhabit their roles, making for a nice ensemble. 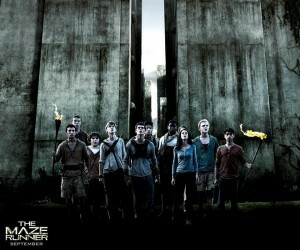 Final Words: Overall, the Maze Runner is a very good book adaptation. Fans of the book won’t be disappointed, and nor will those new to the story. It’s exciting throughout, scary in the right places, and, importantly, really fun to watch. It puts together a great cast, and it will be nice to see them return, in the already scheduled The Maze Runner: Scorch Trials (2015). 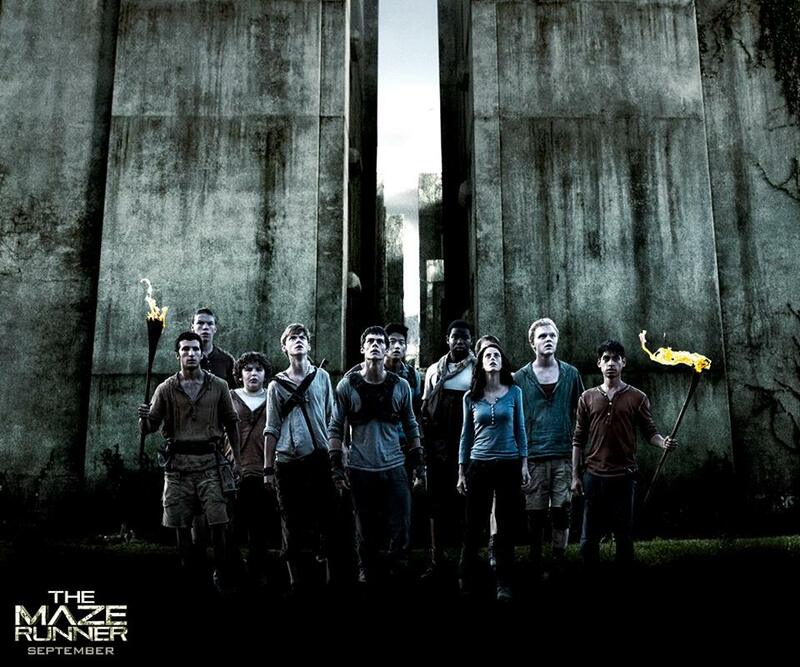 The Maze Runner is released in the UK on October 10th. Minions New Trailer, Poster & Images!